I used to live in Northridge, California, right under the flight path of Van Nuys Airport, which is a very busy, if not the busiest, private airport in the United States. I’d work on cars and bikes in my driveway on weekends, soaking up the California sun and painfully stretching the back of my legs as I bent over the fender of my Citroen DS 21 or hunched over one of my Guzzis. All good fun, what with the planes buzzing over my head, and the executive jets taking off to executive locations for executive weekends. Jets and Lycoming engines all day long just didn’t get me to look up. But, once every weekend or so, a low, powerful drone would shake the windows, and every motorhead in Northern Los Angeles would look up. They looked up because they knew. They looked up because that drone was connected to a Rolls-Royce Merlin engine. There were a few North American P-51 Mustangs flying out of Van Nuys, and these planes were powered by The Mother of All Engines. This is the Engine that won a war. 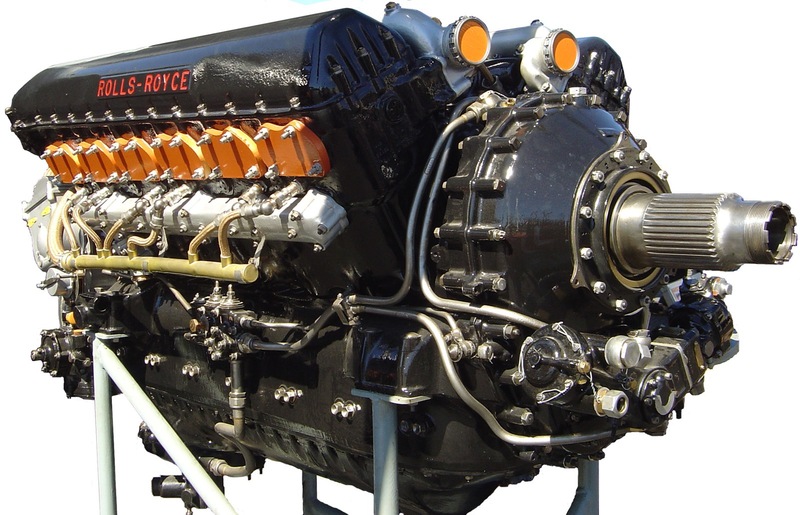 This is the Engine that powered less than 1000 planes that, in 1940, took “The Few” RAF pilots into battle against the Luftwaffe. 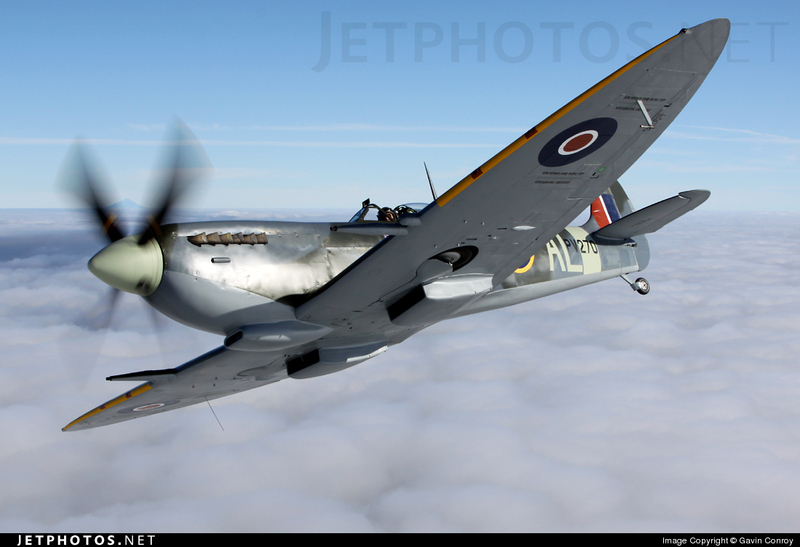 This engine saved a nation, and once you hear that and make the connection, you just have to look up when it’s overhead. 27 liters of pure victory. click for a nice big picture. Elliptical wings, bubble canopy, six machine guns. Woven permanently into the British Historical Tapestry. There were many “proper” motorbikes, too. Many BSAs, Nortons, Brough Superiors, Vincents, Arials fit this description easily. 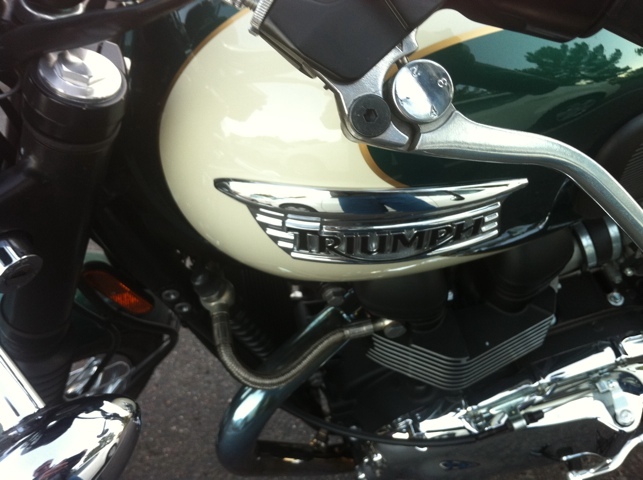 But of all, Triumph survives to be a very proper motorbike. Everything indeed is in the right place. The fuel injection looks like the carbs of old, the shiny cases, twin exhausts, ergonomic bars, power, wheels, seat, fit and finish. All so proper. 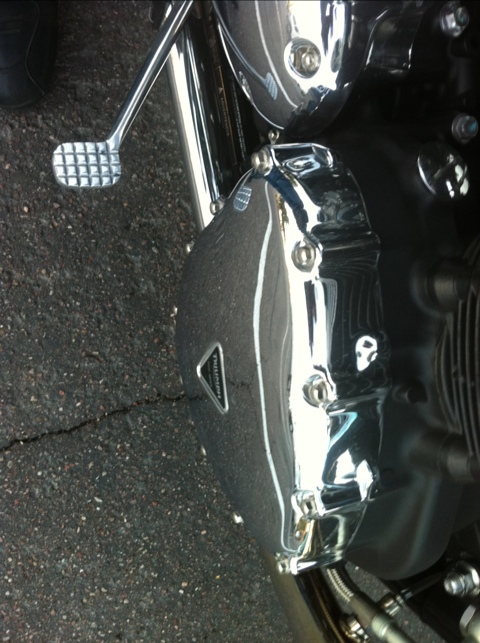 That is the appeal of the Triumph Bonneville to many. Everything is exactly where one expects it to be, where it has always been. It’s not something unrecognizable by an original member of the 59 Club or some aging boomer that rode one between classes at USC in the 60s. 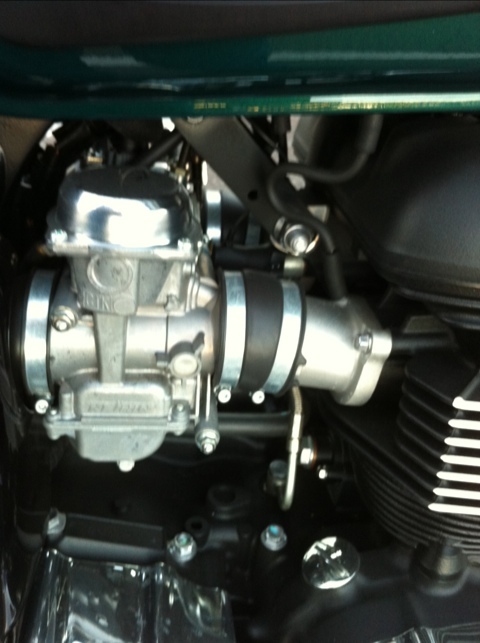 In many ways, the Triumph Bonneville is the Merlin Engine of Motorcycles. It represents the breakout freedom of post-war British Youth, the Ton-up Boys, the Wild Ones, and the “Born to Run” generation. Back then Harleys were for Cops and Elvis Wannabees. This entry was posted in bike reviews, Choosing a motorcycle, Motorcycles and tagged Bike Review, Motorcycles, Motorcycling, new motorcyclist, Triumph Bonneville. Bookmark the permalink.